3 Open a can of fun! 5 Fresh Lemon Lime Taste! 8 There's a delicious ray of sunshine in every drop. 10 Image is nothing. Thirst is everything. Obey your thirst. 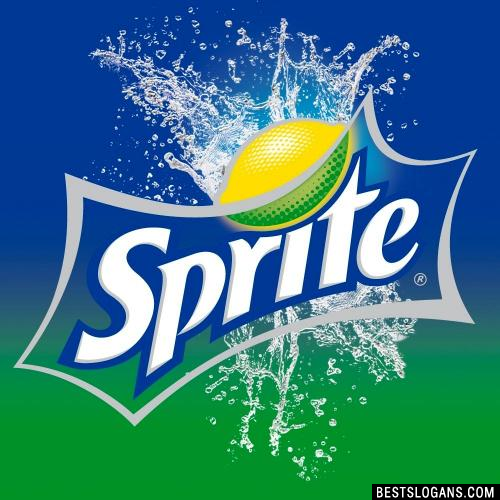 12 What's in a Sprite? It's perfectly clear. Can you think of a good Sprite Slogans we're missing? Or come up with a clever one of your own. Please share below.